Nothing says vacation like taking a dip in a sparkling hotel pool, and nothing says Gloucester like views of the rocky coastline and the majestic Atlantic Ocean. 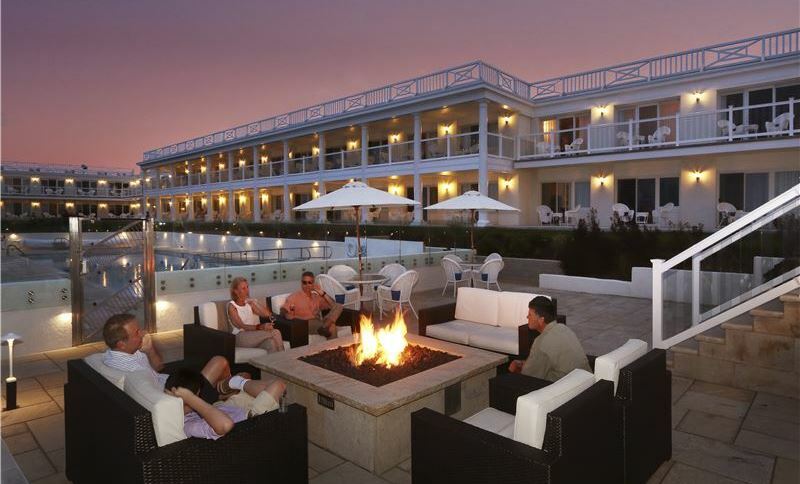 At the Ocean House Hotel at Bass Rocks, you'll get the best of both worlds, when you dive into our heated outdoor pool overlooking the ocean and beach. Splash and play in the crystal waters of the pool or relax in the soothing warmth of our hot tub. Soak up the sunshine from the comfort of your lounge chair or sit by the fire pit and watch the sun go down. The pool is open seasonally from Memorial Day Weekend until the end of summer. At the Ocean House Hotel, you'll enjoy more than just a standard pool. Sink in to our soothing hot tub to soak away sore muscles after a day of sightseeing. Enjoy a glass of wine, beautiful sunsets and the warmth of our cozy fire pit. We invite you to take relaxation to the next level.